DAVOS, Switzerland — As the Annual Meeting of the World Economic Summit kicked off late Monday afternoon, Vice President Joe Biden made a quick trip to Davos to campaign for his cancer “moonshot.” The vice president traveled here after a last-minute weekend trip to Ukraine on what will be his final foreign mission during President Barack Obama’s second term. Biden shared that although this assignment came as a surprise to him — announced during President Obama’s final State of the Union address last year – he believes that a cure is achievable in 10 years. What is it about Davos that attracts some of the world’s most important leaders — political, corporate, and social — to return? Speaking in front of an audience of forum attendees including corporate health professionals, financiers and science researchers, Biden championed the core tenet of his effort: sharing crucial scientific data that will make it possible to reach a cure. He described an already successful initiative that allows families looking for clinical trials to search for them online by zip code. Davos’ official program began today with opening ceremonies. Over the course of four days, some 3,000 corporate leaders, elected officials, reporters, and their handlers will gather under the theme “Responsive and and Responsible Leadership.” There is unease as participants wait to learn how the British vote to leave the EU, known as Brexit, combined with the election of Donald Trump challenges some of the foundations of the international order. The scheduled inauguration of Donald J. Trump and change in administrations means that there are fewer officials from the United States. This is the opening that has encouraged Chinese President Xi Jinping to attend for the first time. En route to Davos yesterday on the train from Zurich — a 2.5 hour journey — I began asking myself why a meeting of this importance is held in such a remote location. 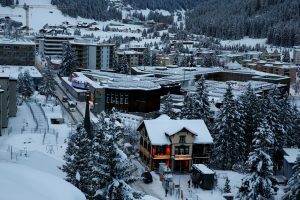 Especially at a time when it is possible to fly almost anywhere in the world, what is it about Davos that attracts some of the world’s most important leaders — political, corporate, and social — to return? German engineer and economist Klaus Schwab held the first meeting of the inaugural European Management Symposium in January 1971. The goal was to pair executives and senior managers from Europe’s leading companies with some of the most pre-eminent business professors in the world – many from the top U.S. business schools. Schwab attended the Kennedy School of Government at Harvard University. 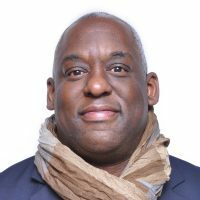 He saw a potential of pairing keen academic minds with actual management leaders, in the hopes of jump-starting European businesses which were falling behind U.S. companies in applying management theory to business operations. 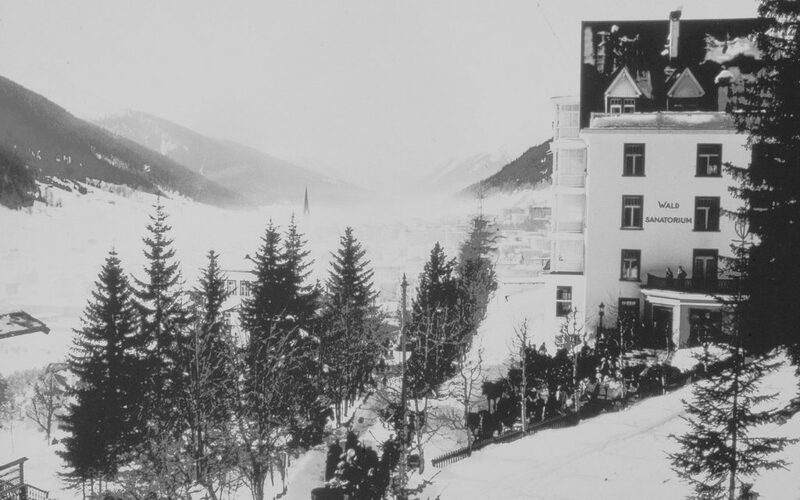 Prior to this annual meeting, Davos was probably most famous as the setting for Thomas Mann’s The Magic Mountain. The story features an alpine treatment facility for tuberculosis patients. The medical prescription at the time – before antibiotics – was a regimen of good food, rest and fresh mountain air. Mann experienced Davos first hand, accompanying his wife Katia who was treated for tuberculosis during her stay at the Wald Hotel. After the initial gathering, Schwab created a foundation that has since grown into a membership organization that includes 1,000 of the world’s top companies. In 1987, the European Economic Forum became the World Economic Forum. Recognized as an international organization by the United Nations, over the years the annual meeting has sponsored peace talks between Turkey and Greece, the first ministerial meetings between North Korea and South Korea, one of the initial meetings between the leaders of East Germany and West Germany leading to reunification, and in 1992, the first meeting outside South Africa between South African President FW de Klerk and Nelson Mandela, and Chief Manosuthu Buthelezi. 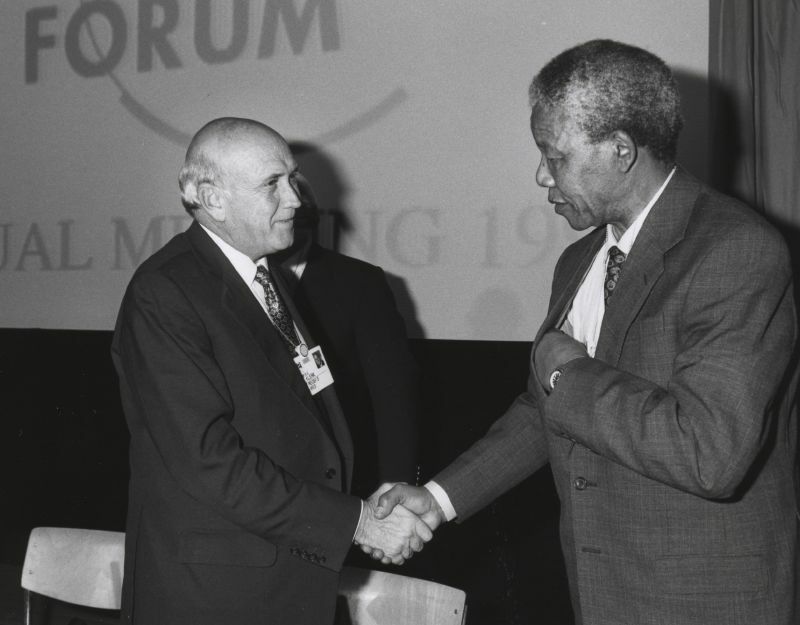 Mandela attributes this first visit to Davos as a key input into his changing perception of the world and the global support for his movement toward a free and equal South Africa.